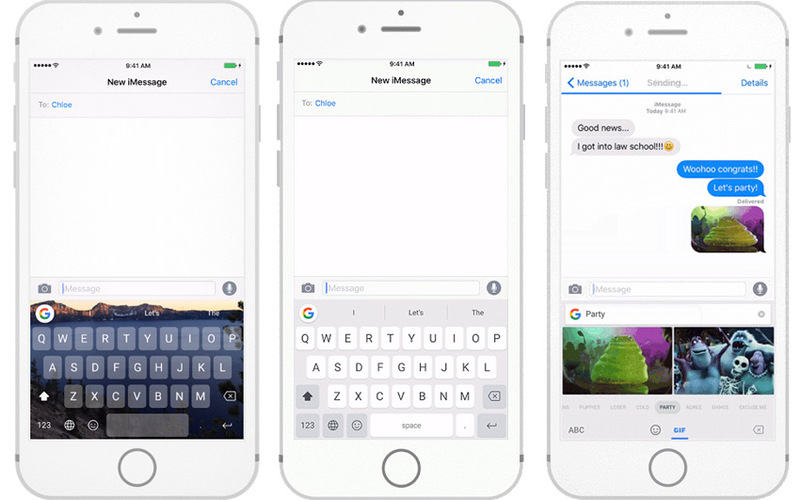 Gboard Keyboard New Updates: The iOS users had a good experience with the Google’s Gboard Keyboard from the May 2016. The Google announced the new updates of Gboard keyboard globally. Let’s take a look at new gboard updates here. The Google introduced extra languages on its Gboard for the iOS users. From today, Google’s Gboard can do the google search, sending emojis and sending GIFs to our friends. Also, we can chat with our friends who all living in Germany, Brazil, Spain. Yes, the app allows us to chat with local languages apart from English such as French, German, Italian, Portuguese (Brazil and Portugal) and Spanish (Spain). Gboard will default to your device language, so as long as it’s set to one of these six languages you’re good to go. If your phone uses a different language, Gboard will default to U.S. English. You can change the language in your Gboard settings. Also, this new update had another option to change our background. And we can shift into the new dark mode if we need. The dark mode is work for us to some situation while comparing to the normal gray background. The New background changing option allows us to change as like our wise. So, we can add our personal images as Gboard background. Stay tuned for More Google Updates.